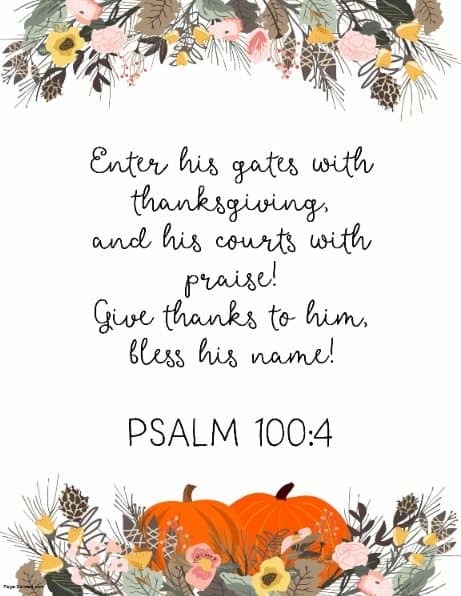 Select any border and insert any of the Thanksgiving quotes from the bible that you want. 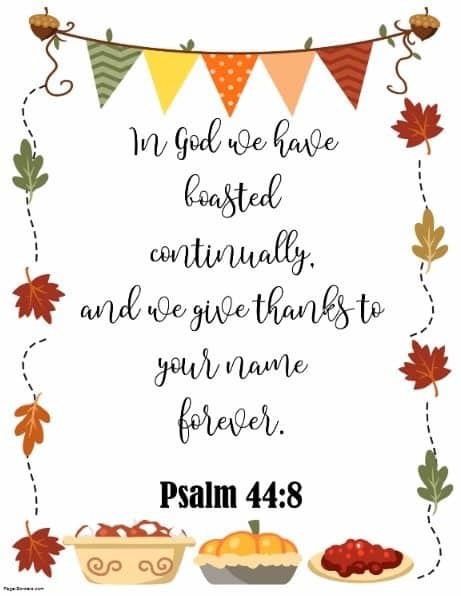 If you don’t find a Thanksgiving quote that you like from our gallery then you can type in any verse that you want. 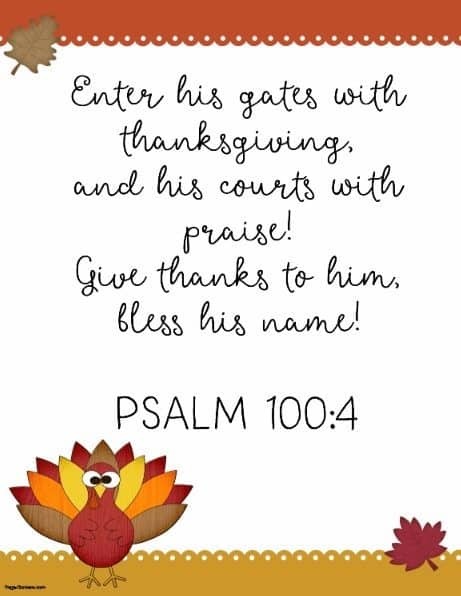 If you prefer not to use Thanksgiving quotes from bible then check out our other Thanksgiving quotes. 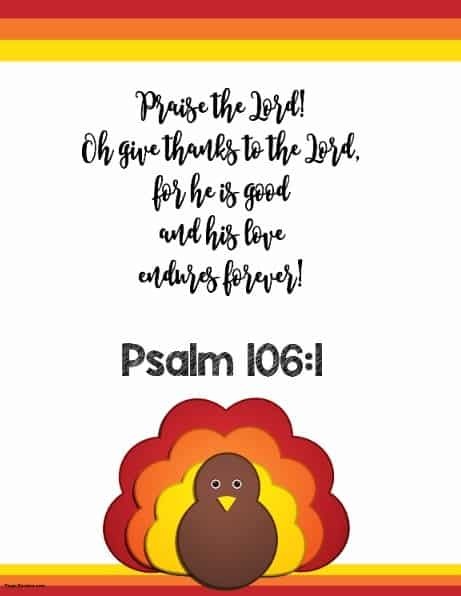 These are the Thanksgiving bible verses that are currently available in the gallery. If you have a bible verse that you would like to add then please leave a comment below. You can add any quote to any background. You can also add your own quotes by clicking on the A button and typing your verse. 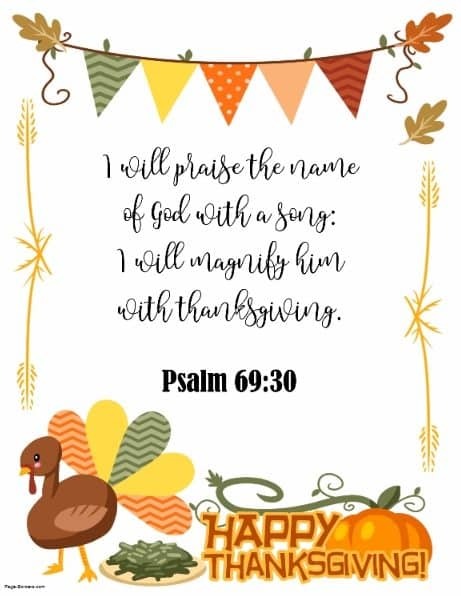 I will praise the name of God with a song: I will magnify him with thanksgiving. 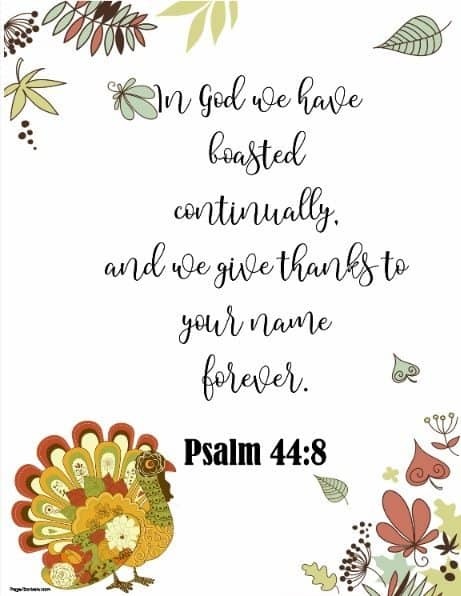 In God we have boasted continually, and we give thanks to your name forever. 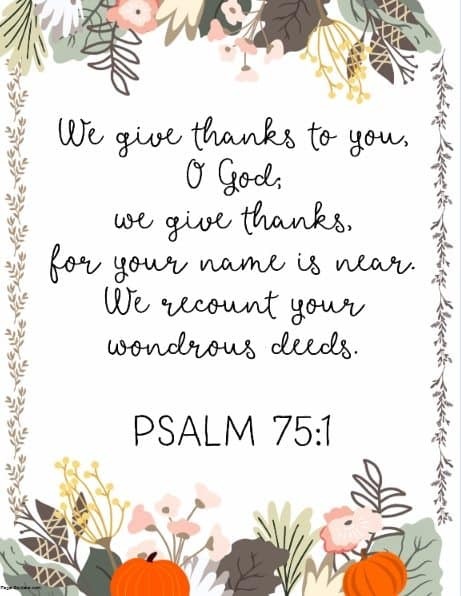 We give thanks to you, O God, We give thanks, for your name is near. 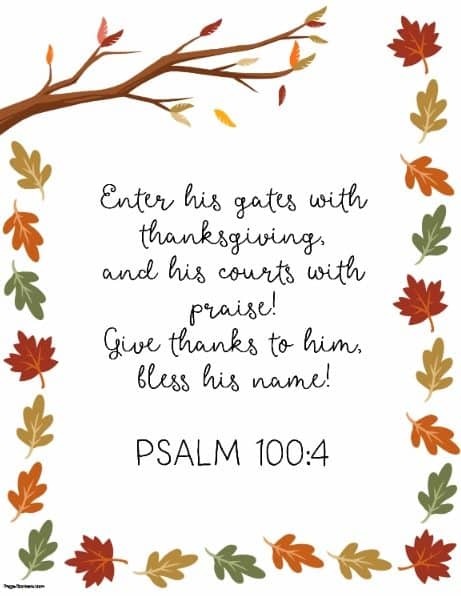 Oh give thanks to the Lord, for he is good and his love endures forever! Select the background from the designs available above. Select a quote from the gallery of verses. Click on the verse that you want to insert into your poster. Download the printable poster or print directly from the poster maker. You can upload the background to your phone or tablet to create a wallpaper or screen saver.